BEAR’S NINE PINES RESORT is a four seasons family resort providing comfortable cabins for Snowmobilers, Hunters, Fishermen, or just a place for families to relax and enjoy quality time together on beautiful Lake Gogebic. We offer modern, one, two and three bedroom cottages, some with fireplaces and private Hot Tubs. Most things are furnished, including WIFI, with the exception of your bathroom soaps & towels. 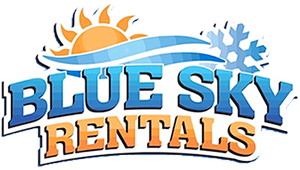 We also rent boats/motors, pontoons, canoes, kayaks & all of your ice fishing needs. 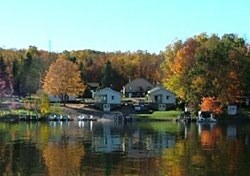 We are located on the southwest shore of Lake Gogebic. You can access 6 different trail systems, all starting and ending at Lake Gogebic. Within a 45 minute drive you can see many major waterfalls, visit the Porcupine Mountains, Lake of the Clouds, Alligator Eye, enjoy a round of golf, go horseback riding, or do some downhill/cross country skiing. We also have a full service bait/tackle shop, license & trail permits available in our office and offer Fishing Guide Service & Guided Black Bear hunts. 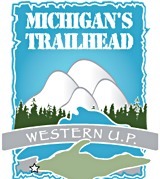 Let us help make your trip to the U.P. one to remember.